How do I find out about the condition of the home I’m considering? Fixer-Uppers – Are they good or bad? Is there a good “return” for my efforts? Question 14: When buying a home how much does my real estate REALTOR® need to know? 2. 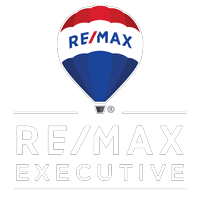 Dual agency exists if two REALTORS® working for the same broker represent the buyer and seller in the same transaction. A potential conflict of interest is created if the listing REALTOR® has advance knowledge of another buyer’s offer. Therefore, the law states that a dual REALTOR® shall not disclose to the buyer that the seller will accept less than the list price, or disclose to the seller that the buyer will pay more than the offer price, without express written permission. 3. A buyer can hire an REALTOR® who will represent their interests exclusively. A buyer’s REALTOR® usually requires a retainer which is refunded once the buyer purchases a house. The amount of the retainer differs from REALTOR® to REALTOR®. A buyer’s REALTOR® can perform enhanced services for the buyer, such as preparing a market analysis on the home they are buying. All information provided to the buyer’s REALTOR® shall remain confidential and will not be relayed to the Seller’s REALTOR®.